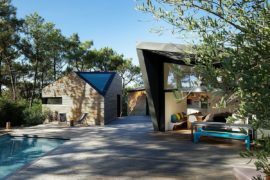 Modern homes offer much more than the mere necessities. 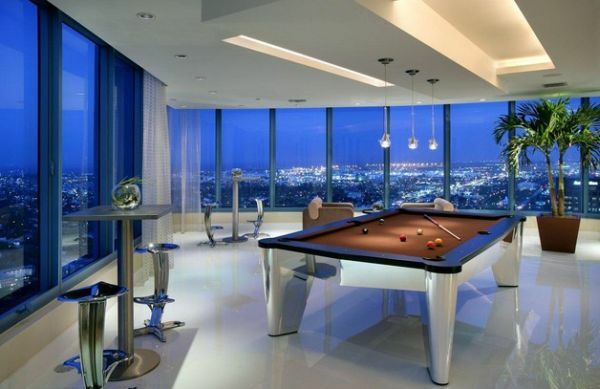 Game rooms are starting to become an integral part of many a contemporary residence. 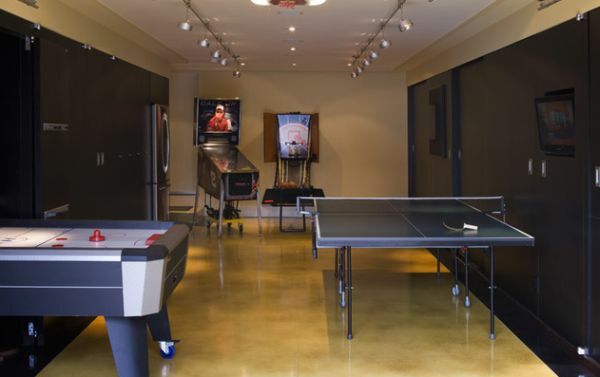 While some of us can afford to space exclusive space for gaming and recreational needs, all of us do might not have enough square footage at our disposal. 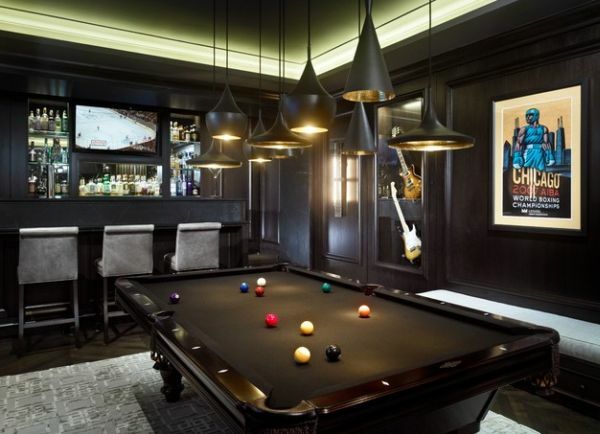 Be it ping-pong, pool action, poker fun or a round of darts; you can pretty much add a fun corner to any room in the house! The transformation is almost instant with the space acquiring a whole new focal point. 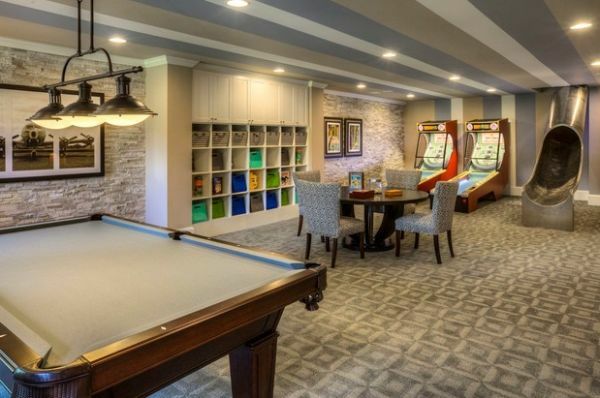 A lovely ‘game area’ can be created in the living space, attic, basement, dining room and even next to the home theater or bar. 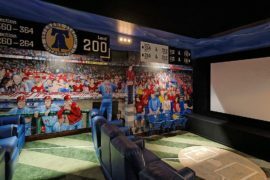 While this might not meet the exclusivity of a game room, it still promises plenty of good times along with multitasking solutions. 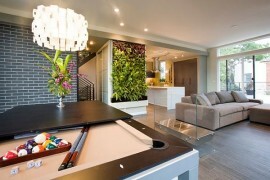 Here are a few inspirations that bring in the game room charm with style, ease and at times, space-consciousness! 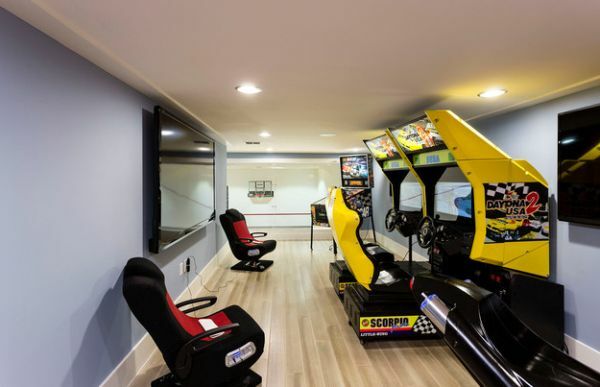 Fun game room with arcade games and an awesome slide entrance! 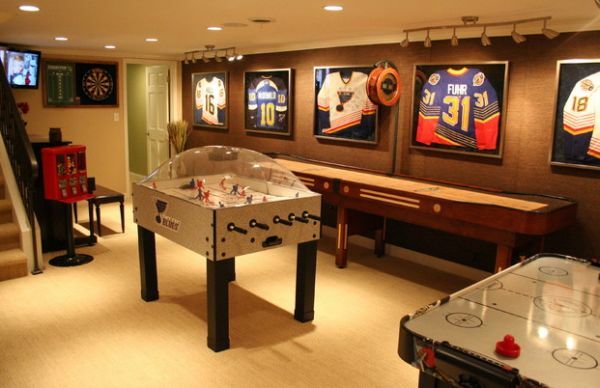 Right off the bat, here are two wonderful places to put up the game room. 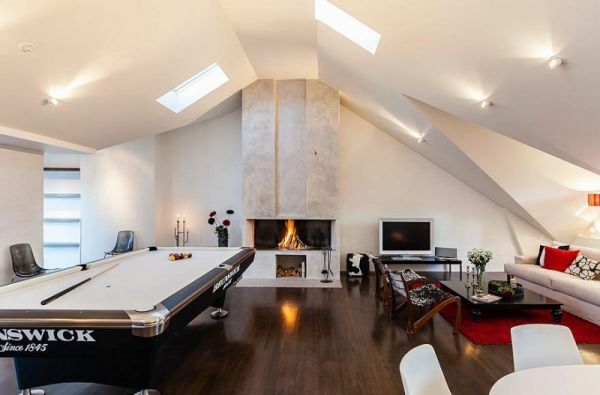 That is of course, if you do own a residence that sports either a basement or an attic. 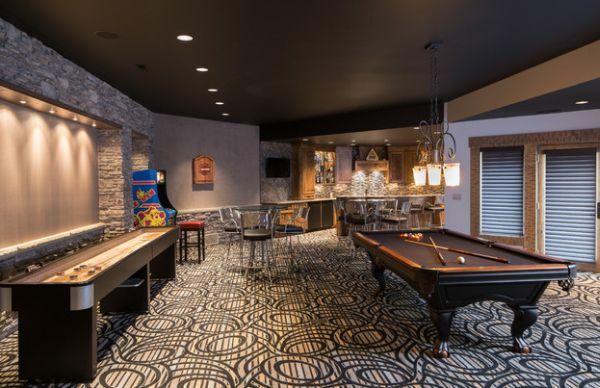 If an exclusive game room with a Foosball table, an air hockey installation, a couple of arcade delights, a pool table and a dart board are your requirement, then this is the best way forward. 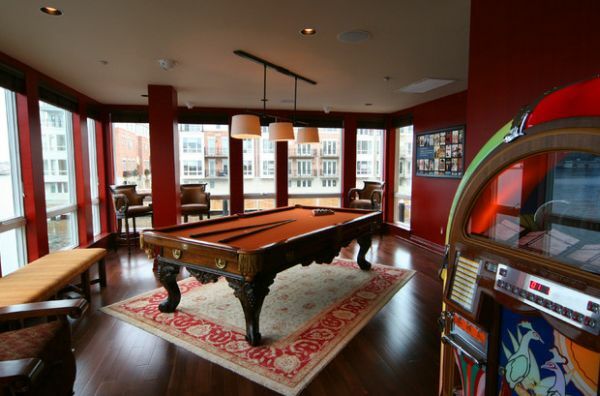 Most often game rooms tend to naturally be areas where sound levels are a tad bit high. 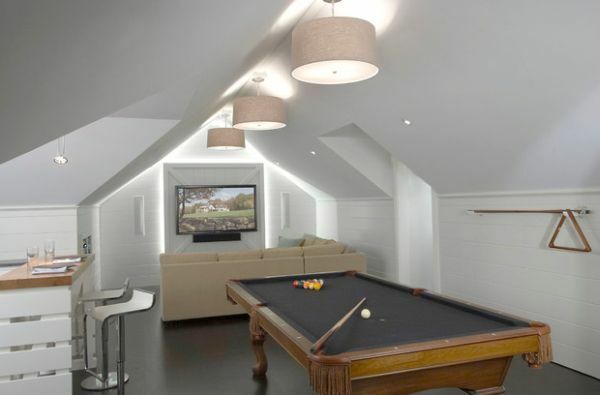 An attic or basement also helps in keeping sound-proofing simple and minimal, where necessary. 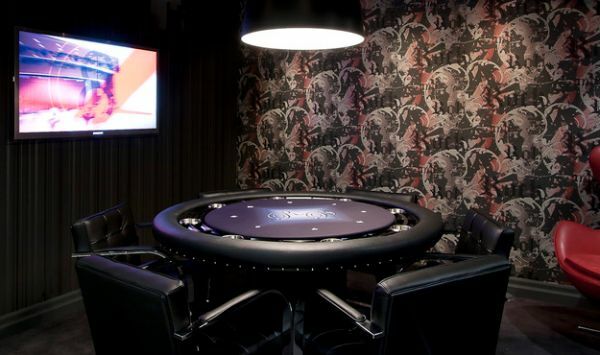 Fancy a game of poker anyone? Bring home some Casino magic! 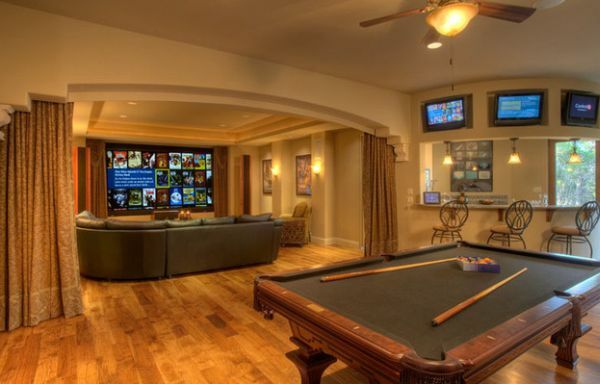 Add an entertainment unit to your game room setting to keep the good times rolling. Lovely lighting and few tasty snacks and you are all good to host a perfect party. 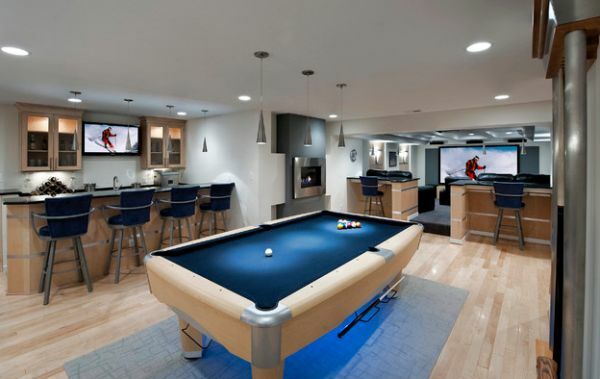 Adding a pool table or a Foosball unit to the space next to the media room in an open floor plan, also works well. 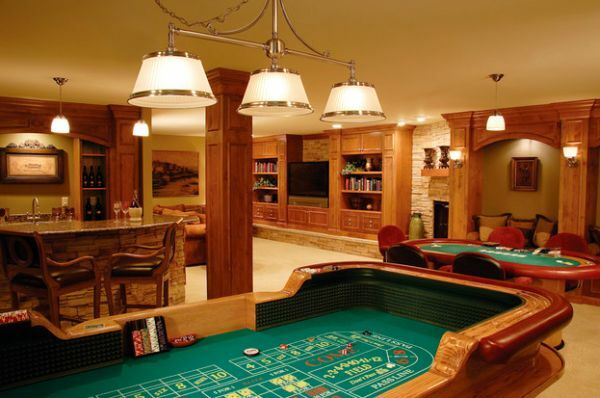 Plan carefully and remember that most game tables require another 5 feet of space around them for actual usage. 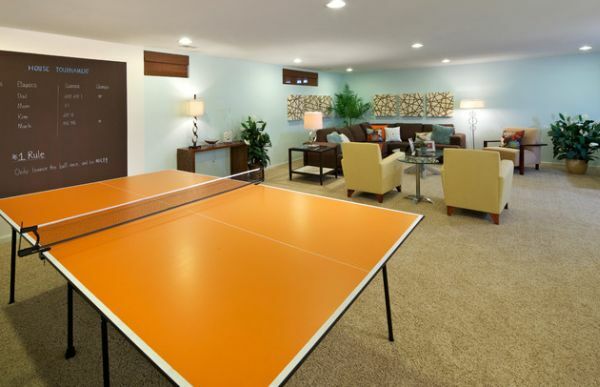 The best way to go about colors schemes for game rooms is to keep things relatively simple. 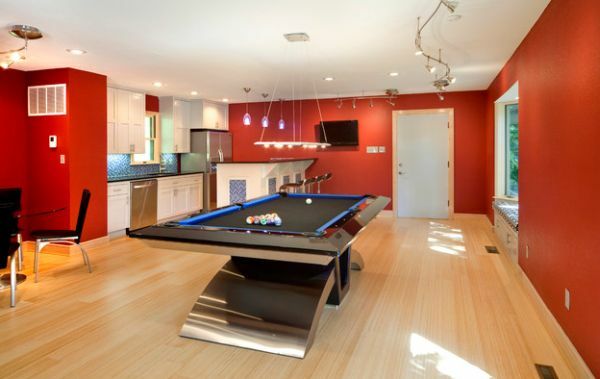 If you are already adding several game tables and gaming consoles, then the hues and colors that are incorporated into the area already can be a tad bit overwhelming. 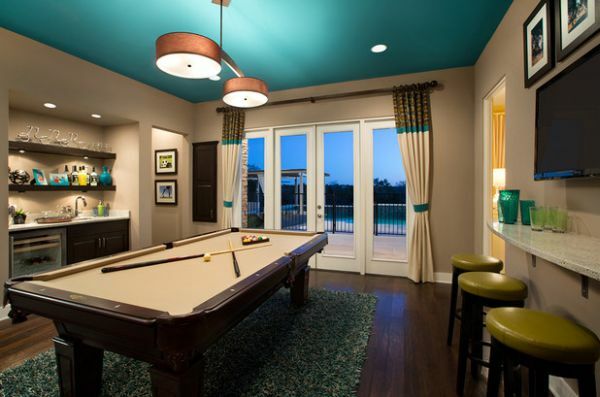 It is best to use just two or three different shades on the walls. 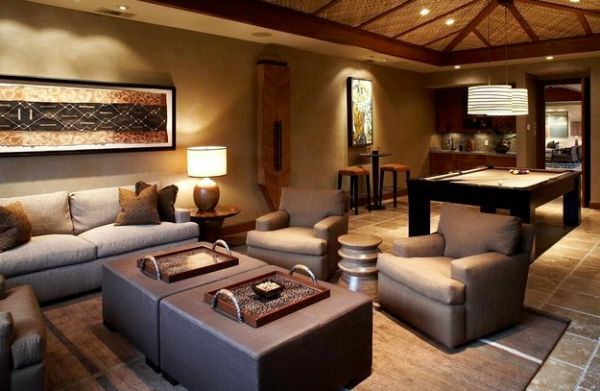 Décor and Accessories in matching wood grains and colors make for a great addition as well. 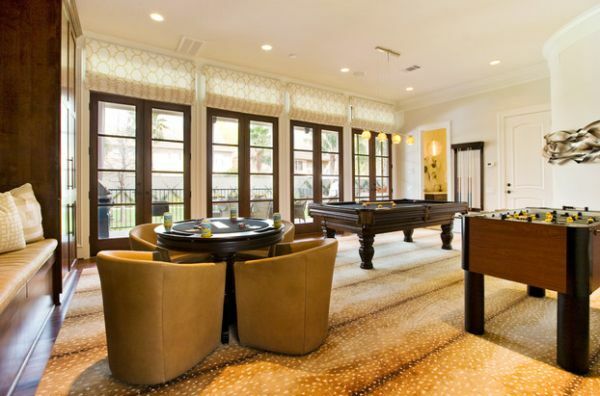 If you are adding a pool table to the living room or dining area, make sure it blends with the rest of the theme. 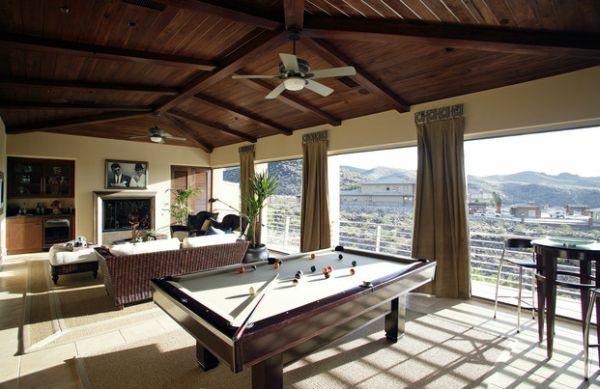 Add pool table to the media room for greater entertainment options! 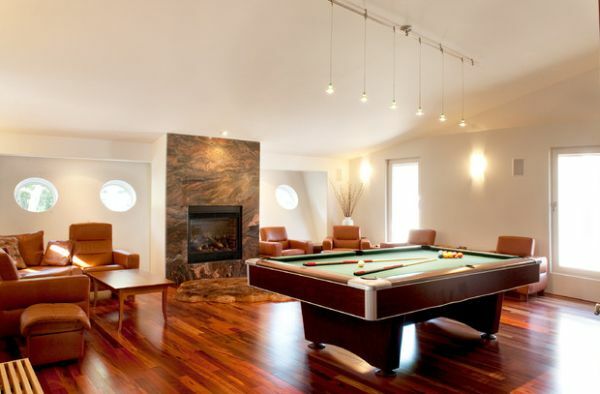 Fireplace warms up the game room! 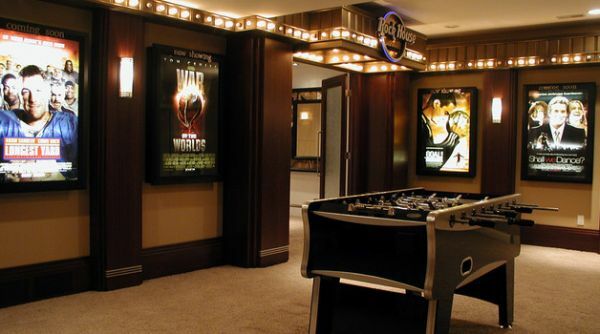 A beautiful poster, popcorn machine or even a classic gumball machine can do the trick of bringing in a more ‘old arcade’ feel. 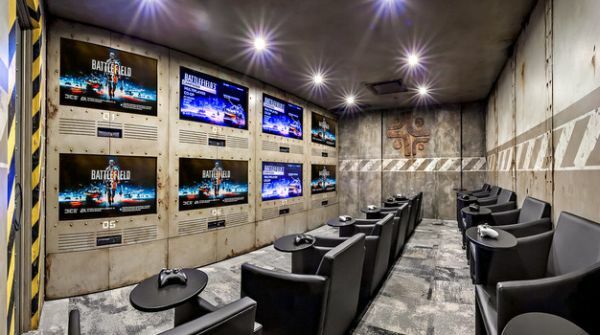 If you couple the media room with the game room, then you can enjoy modern marvels like the Xbox or the PS3 without having to switch rooms as well. This also could help you in spending more quality time with your teenage kids! 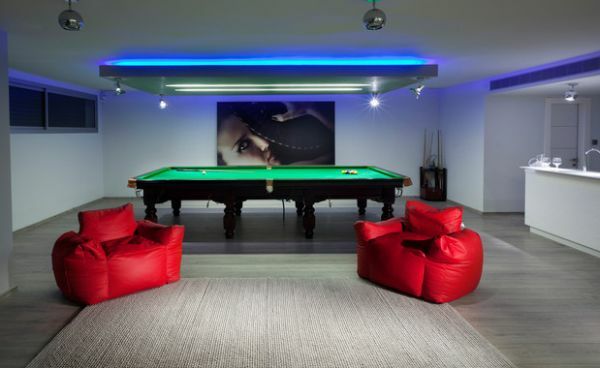 Neon lights give the game room a sense of authenticity! Foosball table always reminds us of Chandler and Joey! 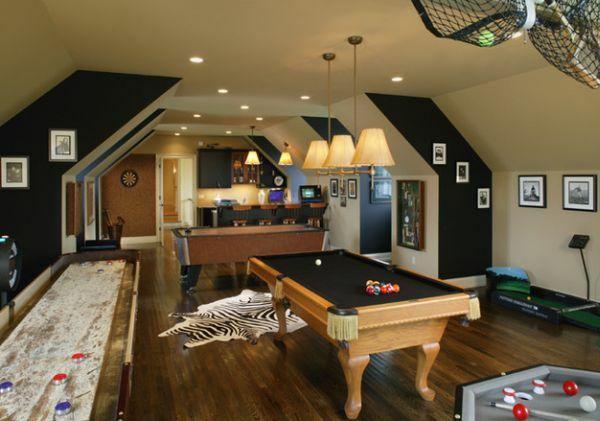 Sometimes a few of the tips on interior design can sound like a broken record. Lighting is one of those. 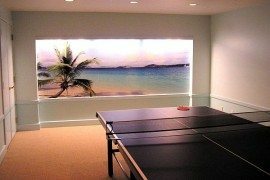 Good lighting is essential in pretty much every corner of your residence and it plays the most crucial role in making the indoors fabulous. 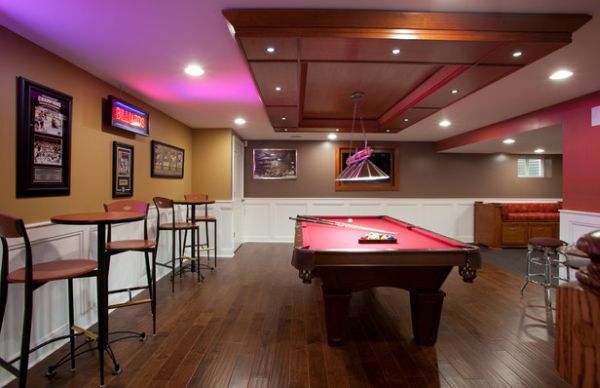 Combine several layers of lighting in the game room for the perfect look. 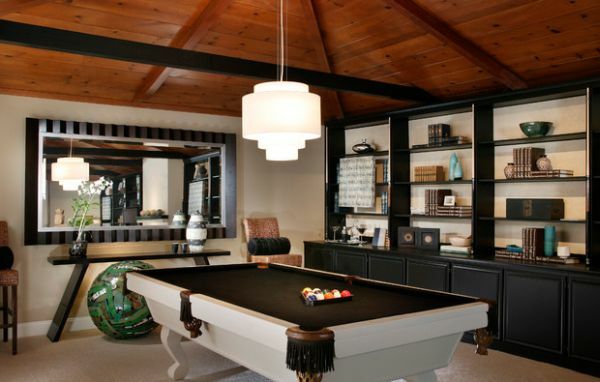 Large drum pendants or cone pendants are perfect for the spot above the game tables. 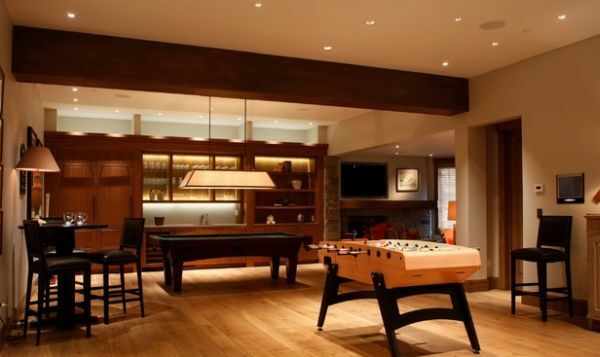 Recessed lights can take over when it comes to ambient illumination. 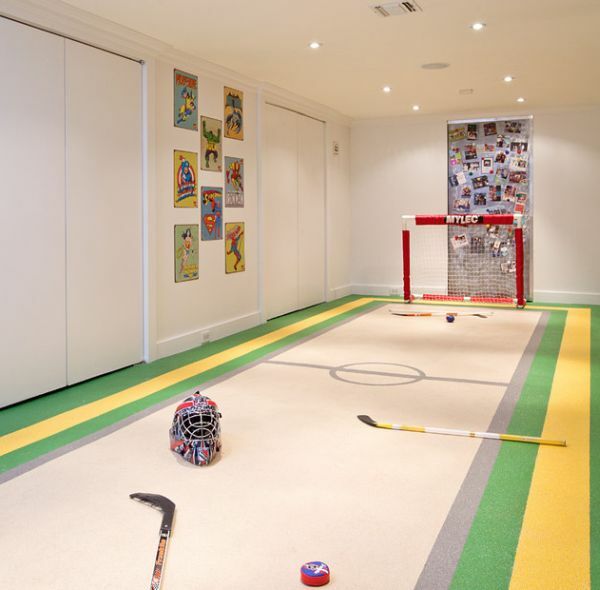 In case your game room is an extension of any other area in the house, make sure that the style, color and décor are in sync with the remainder of the area with only subtle variations. 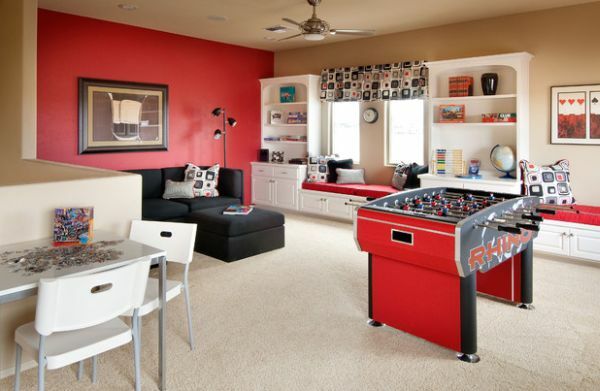 A game room need not be a restricted space dedicated only for that purpose. And by simply adding one, you can spend more quality time with your family and friends at the comfort of your home. And over a period of time, it might even pay for itself as you would be now tempted to spend more weekends at home than away! Time for kids to join in the fun!